Adam Sandler is the poster boy for Hollywood Comedies in the 1990s and 2000s. After breaking into the cast ofSaturday Night Live by famously singing songs, Sandler made the transition to starring in movies easily. He is an everyman usually finding himself in awkward situations. His character names are usually Bobby, Sonny, Barry, Dave, or Skeeter. Sandler is of Russian Jewish heritage. When he was six, the family moved from Brooklyn to Manchester, New Hampshire, where young Adam was a member of the B'nai B'rith Youth Organization. Sandkler attended the Tisch School of the Arts in New York City, graduating in 1988. Right off, Sandler played a character named "Smitty" on four episodes of The Cosby Show, aired over NBC in March, 1988. He then headlined in Going Overboard (released in May, 1989) which was not a low-budget affair, but the film got horrible reviews and did no business — until later that is — when it came out on video after Sandler's stardom. Sandler began to do stand-up in nightclubs, where he was seen by comic Dennis Miller, who recommended him as a writer for Lorne Michaels' show Saturday Night Live. Sandler jumped into the cast lineup right away and appeared in 87 episodes of the show aired over NBC, from December, 1990 to May, 1995. 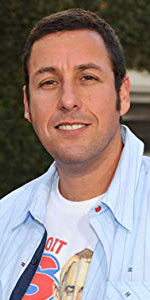 Unlike many SNL alumni, Sandler began his film career slowly. He stared out as a supporting player in Shakes the Clown (released in March, 1992) with Bobcat Goldwhaite in the title role, then helped in a supporting role in Dan Aykroyd's ill-fated Coneheads (released in July, 1993). Producer Robert Simonds took a flyer and headlined Sandler in Billy Madison (released in February, 1995) with Darren McGavin. The picture did well enough that it was followed up by the golf-centric Happy Gilmore (released in February, 1996). The Wedding Singer (released in February, 1998) with Drew Barrymore, was a huge hit; The Water Boy (released in November, 1998), with Kathy Bates, became Sandler's biggest world-wide hit. Big Daddy (released in June, 1999) did twice as much Wedding Singer. By now, Sandler had started Happy Madison Productions, and has since been a producer on all of his films, beginning with Little Nicky (released in November, 2000) with Patricia Arquette. Like many comics before him, Sandler has attempted more serious roles. One of these was in Punch-Drunk Love (which played the Chinesein November, 2002) with Emily Wilson, while his remake of Mr. Deeds Goes to Town, Mr. Deeds (released in June, 2002) with Winona Ryder, started with good source material; the panned film made a pile of money anyway. Sandler was executive producer of 41 episodes of Rules of Engagement, aired over CBS from February, 2007 to May, 2013. Then co-starred with Jack Nicholson in Anger Management (released in April, 2003), which also did very well at the box-office. For those who resist Sandler's films, 50 First Dates (released in February, 2004) with Drew Barrymore, might be the most pain-free way to experience his "I'm just a guy in love with this wack job" approach to his films. Terrible thrid act, though. Famed director James L. Brooks tried to legitimize Sandler in Spanglish (released in December, 2004) with Téa Leonia. Meanwhile, Sandler was able to fulfill his dream of remaking The Longest Yard (which played the Chinese in May, 2005) with Chris Rock. The film did very well, as did Click (released in June, 2006) with Kate Beckinsale. 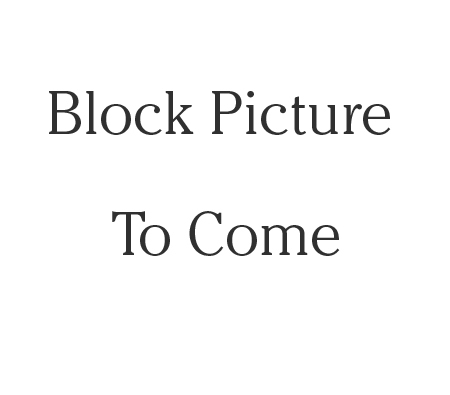 I Now Pronnounce You Chuck & Larry (released in July, 2007) with Kevin James, You Don't Mess with the Zohan (released in June, 2006) with John Turturro, and Bedtime Stories (released in December, 2008) with Keri Russell, all grossed over $100 Million each. Funny People (released in July, 2009) with Seth Rogen, squeaked by, but Grown Ups (released in June, 2010) with Salma Hayek, made a fortune. Just Go with It (released in February, 2011) with Jennifer Aniston, passed the $100 Mil mark. That's My Boy (released in June, 2012) with Andy Samberg, sort of underperformed, as they say. A surprise hit for Sandler was doing the voice of Dracula in Hotel Transylvania (released in September, 2012), but Blended (released in May, 2014) with Drew Barrymore, kinda was a dud. Pixels (released in July, 2015) with Kevin James, was a suprise hit. Moving over to the Netflix streaming service, Sandler appeared in The Ridiculous 6 (streamed over Netflix in December, 2015), and Sandy Wexler (streaming in April, 2017) with Jennifer Hudson, The Meyerowitz Stories (New and Selected) (streaming in October, 2017), with Ben Stiller, and The Week Of (released in April, 2018) with Chris Rock. Grauman's Chinese Theatre, Hollywood, California. Adam Sandler Forecourt ceremony, Tuesday, May 17, 2005. Adam Sandler gives the crowd a look as unidentified cement technicians wait for his next move.